Everyone has their own ideas of what a good Valentine’s Day gift is, but you don’t have to go over the top to make something special—a little investigation goes a long way. Does your partner take religious care of their skin? Pick up Estee Lauder’s Advanced Night Repair (B500.50ml) at Sephora. If they love some pampering time, try a bath bomb from Lush (B290) and some Ryn Wonderlust Garden body lotion (B880). If you have a gamer in your life, MBK is packed full of gear—from the latest releases to peripherals like dual-shock controllers and high-speed gaming mice (a good buy for CS:GO players). The Marshall Major II headphones (B4,390) are a steal at Power Mall on Siam Paragon’s fifth floor. For fitness freaks, look through Power Mall’s wearables section for I-Got-U’s Q-Band Q68HR Bluetooth Smartwatch (B1,990). Still out of ideas? Check out BK's Gift Guide 2018 for product listings sorted by personality types like "fitness freaks", "adventurer" and "beauty queen" to simplify things a little. We’re not talking anything over-the-top here, but sprucing up your look on date night is a great way to add a dash of surprise. In the hands of the right artists, you can come out with an extra little confidence boost, too. Japanese-inspired hair salon Boy Rikyu by Boy Tokyo can patch you up right. 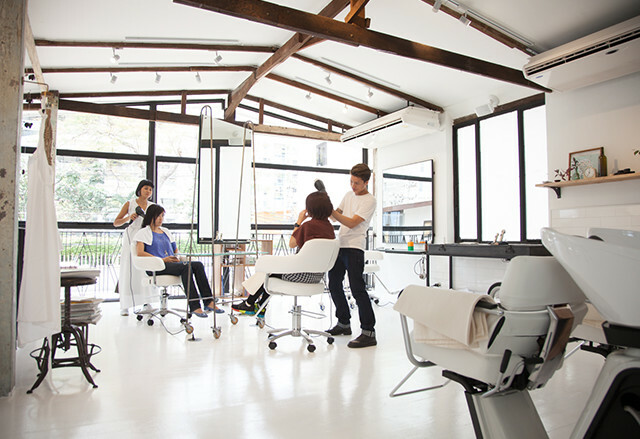 The hairdressers here will sketch out new looks and consult before even touching your hair (B1,500/Japanese stylist, B700 for Thai). Word is this is where famed beauty-blogger Pearypie actually gets her fab and bold colors done. If you want something a little more “manly”, try Barberford Noir in Siam Discovery. A standard cut costs B800 and includes a shampoo, condition, scalp massage and set. The barber dims the lights before placing a wet towel over your eyes, then lets you put your feet up as he gets to work with the shampoo finished with a shoulder and arm rub. Everything here feels all about you—we like it a lot. It might seem a little cliche to some, but conveying love with flowers is a sign of romanticism most people can appreciate. Bangkok is home to florists left and right, but not all of them are fit for this. If you’re looking for something unique, a single preserved blue rose (B1,590) from Heartmade By Kigpcn will really leave an impression. Another place with a great variety of bouquets is Flower in Hand by P. Weary—one of the few that let you tailor-make your own bouquets—from lots of green to colorful sets of flowers, wrapped in paper or held together with string. 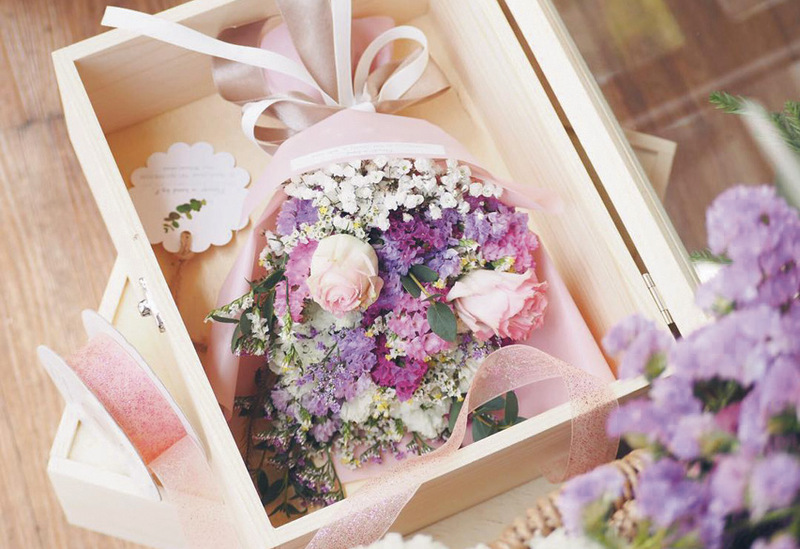 Prices start at B450 for small flower bouquets and B2,000 for a flower box. If you are only going to prepare one part of this whole day, pre-booking a nice dinner should be it. Go the extra mile with a rooftop spot. Situated atop Siam@Siam Design Hotel Bangkok is The Roof Gastro—a rooftop Asian-style tapas restaurant that cranks out variations of well-known seafood dishes. For B4,299, both of you get a slate of fresh oysters sitting in the bed of red wine vinegar and Oba leaf-infused sauce, along with roast yellow beetroots topped with goat cheese in a salmon salad. The highlight here, however, is the choice between mains: succulent streamed red snapper with mouthwatering foie gras or Australian beef sirloin. For dessert, the chef whipped up a creation called Passion Fruit & Lynchee—a white chocolate cake that combines the subtle sweetness and tanginess of passion fruit with a strawberry and lychee sauce. The hotel’s rooftop bar also has tropical-tinged cocktails to accompany your feast, so be sure to ask for the menu.